FOR PROTON SATRIA. Vehicle compatibility. This is an original quality part manufactured by Blue Print. Part No : ADC46805. PROTON SALOON & H/BACK 1.3 Sal,H/b - GL,GLS FWD 5 MTM 4G13 C21 01/89>12/91. PROTON SALOON & H/BACK 1.5 Sal,H/b - GL,GLS,SE FWD 5 MTM ATM 4G15 C22 01/89>12/91. MITSUBISHI COLT 1984-89 1.2 H/b - GL FWD 5 MTM 4G16 C15A 4 Outlet 01/84>12/88. 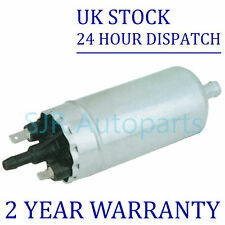 Blue Print Fuel Pump Proton Saga Mitsubishi Colt Galant L 200 4x4 L200 ADC46805 - Free Delivery from Simply Car Parts - Brand New BluePrint part - 3 Years Manufacturers Warranty. FOR PROTON COMPACT. Vehicle compatibility. This is an original quality part manufactured by Blue Print. Fuel Pump Type : PROTON GEN 2. CAR FIXING : PROTON GEN 2 1.3L 1.6L 1.8L 2004-2014. PROTON GEN 2. This is a high quality fuel pump. PRICE FOR 1 PEC FUEL PUMP. Fuel Pump Type. Manufacturer Part Number : FP-D-GEN2. GEN 2 CM 1.6 Petrol 16V 5SP. 1.6 Petrol - Manual - Engine Code MT - 4 Pin Plug - In good working order. This part was removed from a Right Hand Drive Vehicle. Compatibility is a guide only. Your item will need to be signed for. Proton Satria GTi 98-05 4G93 SOHC 1.8L. Proton Satria 95-05 4G13 1.3L. Proton Satria 95-05 4G15 SOHC 1.5L. Proton Satria 95-05 4G92 SOHC 1.6L. Proton Wira 1993 onward 4G15 SOCH 1.5L. Proton Wira 1993 onward 4G92 SOHC 1.6L. Manufacturer Part Number: FFP580. Application: Mitsubishi, Proton. We are proud to distribute their huge range of products matching OE quality and specification. All First Line parts include a 12 month manufacturer warranty for your peace of mind. SUBARU 42021AA330, 42021AA350, 42021AC012, 42021AC013, 42021AC070, 42021AC071, 42021AC072, 42021FA040, 42021FA150. PROTON SATRIA (C9_M) 1,8 16V GTI Hatchback Petrol 03/1996 07/2000 FWD 16 135 99. PROTON SATRIA (C9_M) 1,5 Hatchback Petrol 03/1996 07/2000 FWD 12 90 66. [02/03 ON] PROTON JUMBUCK 1.5L 4G15. New FLM Fuel Pump For Bmw 316ti E46 1.8l N42b18#. 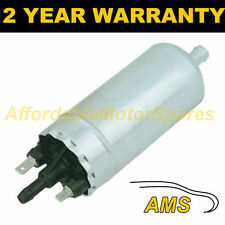 New OEM QUALITY Fuel Pump Insulator For Mazda T Series B2600 2.6L 4G54. New DELPHI Fuel Pump Assembly For Holden Commodore Berlina Police VY. PROTON WIRA 1.5L 4G15 SOHC 12v MPFI 4cyl 3sp Auto 5dr Hatchback FWD [01/95 - 12/96]. PROTON WIRA 1.5L 4G15 SOHC 12v MPFI 4cyl 5sp Man 5dr Hatchback FWD [01/95 - 12/96]. PROTON WIRA 1.6L 4G92 SOHC 16v MPFI 4cyl 4sp Auto 5dr Hatchback FWD [01/95 - 12/96]. VEHICLE SUITABILITY #Vehicle: PROTON JUMBUCK - 1.5L 4G15P SOHC 12v MPFI 4cyl - 5sp Man - Pickup - FWD. NECESSARY INFORMATION : Dont forget to provide us the the vehicle infomation, if you need assistance in buying the part. 1994 - 2005 Proton Satria ( a.k.a. Proton Compact / 300 Series ). - 1993 - 2009 Proton Wira ( a.k.a. Proton 400 Series ). - 1.6L 4G92 SOHC / DOHC I4. - 1.5L 4G15 SOHC I4. - 1997 - 2001 Proton Putra ( a.k.a. Proton Coupe / M21 ). Proton | Persona. Semi Universal in tank fuel pump.Exactly replaces the original on most in-tank applications but can also be used as an In-tank upgrade (A new wiring harness plug is always supplied). Proton Wira 1995 - 1996 415 GLi/GLSi Hatchback Petrol --. With an expanding range of the latest products sourced from the world’s leading OES and AM suppliers. Reference OE/OEM Number : PW826330. - Reference OE/OEM Number : PW826330. 2008 - 2010 Proton Saga BLM [ BT3S ] S4PE IAFM 1.3L. 2010 - 2011 Proton Saga FL [ BT3S ] S4PE IAFM 1.3L. 2009 - 2012 Proton S16 BLM [ BT3S ] S4PE IAFM 1.3L. Actual Images of item are shown above. This Item is a used item unless otherwise stated. Proton | Persona. Semi Universal in tank fuel pump. Exactly replaces the original on most in-tank applications but can also be used as an In-tank upgrade. Pump Information: Flow Rate 255 Litres per hour. IF THERE ARE PART NUMBERS IN THE ADVERT, THEY'RE THERE FOR A REASON. THIS MUST BE CHECKED PHYSICALLY AGAINST THE PART YOU ARE REPLACING. IF IT DOESN'T MATCH THEN IT IS MORE THAN LIKELY WILL NOT WORK ON YOUR CAR. CAR FIXING : 1.6L 2007 UP PROTON PERSONA. 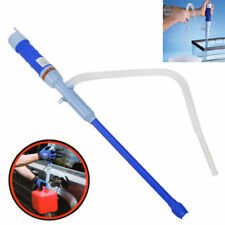 This is a high quality fuel pump. PRICE FOR 1 PEC FUEL PUMP. We will always aim to provide the lowest prices on the net. Manufacturer Part Number : FP-D-PERSONA. PROTON PERSONA 400 413 415 416 418 1.8 300 313 315 316 NR OE: FP10007 others. Fuel Pump Type : PROTON WAJA 1.6 1.8L. CAR FIXING : 1.6L 1.8L 2001-2006 PROTON WAJA. PROTON WAJA 1.6 1.8L. This is a high quality fuel pump. PRICE FOR 1 PEC FUEL PUMP. Fuel Pump Type. Manufacturer Part Number : FP-D-WAJA. [08/99 - 08/02] PROTON PERSONA 1.3L 4G13. 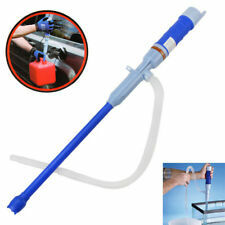 New FLM Fuel Pump For Holden Commodore Vz 3.6l Hfv6 Lw2 Bi-fuel. 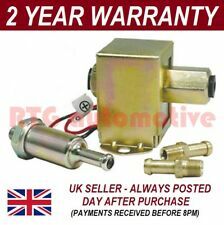 New VDO Electronic Fuel Pump Assembly For Audi A4 Cabriolet B6 3.0L. We are here to help. [01/07 - 08/12] PROTON SATRIA BS 1.6L S4PH. New FLM Fuel Pump For Fpv Gt Bf I 5.4l Boss 290. New TOP QUALITY Fuel Pump For Toyota Tarago Tourer V TCR11 JZX90 2.4L 2.5L. We aim to send all goods as quickly as possible once your order has been finalised. [03/08 ON] PROTON PERSONA CM 1.6L S4PH. New FLM Fuel Pump For Ford Fairmont Ba Ii 4.0l Barra 182. New OEM Electronic Fuel Pump Assembly To Fit Holden Adventra VZ 5.7L. New BOSCH Electronic Fuel Pump For Nissan Gazelle Pulsar S12 N12. FPE-249 Fuel Pump for PROTON M21 C90 PERSONA CM GLI SATRIA BS C90 GTI XLS WIRA - Internal Electric. PROTON SATRIA 1.3L 4G13 SOHC 12v MPFI 4cyl 5sp Man 3dr Hatchback FWD [01/99 - 12/02]. PROTON SATRIA 1.5L 4G15 SOHC 12v MPFI 4cyl 5sp Man 3dr Hatchback FWD [01/00 - 12/05]. SUBARU 42021AA330, 42021AA350, 42021AC012, 42021AC013, 42021AC070, 42021AC071, 42021AC072, 42021FA040, 42021FA150. PROTON WIRA (C9_S) 1,5 Saloon Petrol 01/1994 07/2000 FWD 12 90 66. PROTON WIRA (C9_S) 1,6 Saloon Petrol 01/1994 07/2000 FWD 16 113 83. Model: Proton Persona. Details: Semi Universal in tank fuel pump. 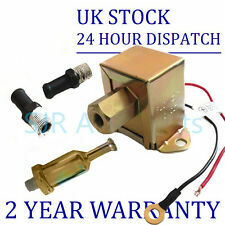 Exactly replaces the original on most in-tank applications but can also be used as an In-tank upgrade (A new wiring harness plug is always supplied). ALSO YOU MUST CHECK THE LENGTH OF THE ARM AS DIFFERENT TYPES. IF THERE ARE PART NUMBERS IN THE ADVERT, THEY'RE THERE FOR A REASON. THIS MUST BE CHECKED PHYSICALLY AGAINST THE PART YOU ARE REPLACING. VEHICLE SUITABILITY #Vehicle: PROTON WIRA - 1.6L 4G92 SOHC 16v MPFI 4cyl - 4sp Auto - 4D Sedan - FWD. Vehicle: PROTON WIRA - 1.6L 4G92 SOHC 16v MPFI 4cyl - 4sp Auto - 5D Hatchback - FWD. Vehicle: PROTON WIRA - 1.6L 4G92 SOHC 16v MPFI 4cyl - 5sp Man - 4D Sedan - FWD. [05/95 - 11/96] PROTON WIRA 1.6L 4G92. New FLM Fuel Pump For Toyota Yaris Ncp91r 1.5l 1nz-fe. 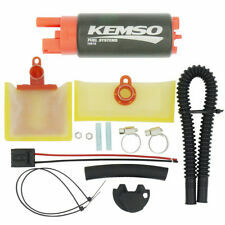 PEC PERFORMANCE Twin ‘Veyron’ fuel pump surge tank - combo set up KIT#2. New BOSCH 070 Racing External Fuel Pump - 0580464070. [01/00 - 01/06] PROTON SATRIA 1.5L 4G15. New FLM Fuel Pump For Holden Berlina Vx Series 1 5.7l Gen3 Ls1. New FLM Fuel Pump For Mitsubishi Lancer Cb 1.6l 4g61. FLM Fuel Pump Filter Module For Holden Commodore Ve Series I My10 6.0l Gen4 L98. [10/97 - 11/00] PROTON M21 C90 1.8L 4G93. New FLM Fuel Pump For Daihatsu Mira L200. 7l Ef. New VDO Fuel Pump For Ford Fairlane Au I 5.0l 302 Cu.in Windsor. We aim to send all goods as quickly as possible once your order has been finalised.